• Five or Ten Minutes of Blind Confusion: The Battle of Aiken, South Carolina, February 11, 1865 by Eric J. Wittenberg (Fox Run Pub, 2018). For a long time, Civil War readers interested in the closing months of the war in the Carolinas had little to take in beyond John Barrett's Centennial-era classic The Civil War in North Carolina. This changed in a big way just over twenty years ago (wow, has it really been that long already?) when Mark Bradley's The Battle Of Bentonville: Last Stand In The Carolinas (followed soon after by his equally good book covering the Bennett Place surrender) shined new light on the subject in a major way. Technically, Cheairs Hughes's Bentonville: The Final Battle of Sherman and Johnston beat Bradley to the punch by less than a year, but I think most consider Bradley's work the more extensive, influential, and inspiring of the two. Since then, a growing number of very good studies have filled in some of the remaining gaps and expanded upon the prior work of others. 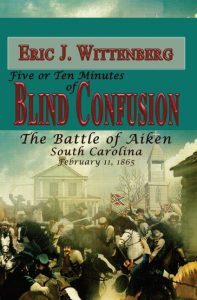 Eric Wittenberg's third book associated with the 1865 Carolinas Campaign is Five or Ten Minutes of Blind Confusion: The Battle of Aiken, South Carolina, February 11, 1865. which tells the tale of "(o)ne of the few Confederate battlefield victories in the dark days of 1865." From the description: "Aiken itself had little strategic significance to either side; Union Maj. Gen. William T. Sherman had intended to by-pass the small resort town. Sherman intended that his cavalry commander, Maj. Gen. Judson Kilpatrick head off in the direction of Augusta, Georgia to confuse the Confederates of his true target, Columbia, the capital of South Carolina. Since the Civil War began in South Carolina, both Sherman and the men of his army were eager to punish its population. Maj. Gen. Joseph Wheeler, the commander of the Confederate cavalry forces, had another idea. Aiken is approximately 13 miles from Augusta, Georgia and the largest gunpowder works in the Confederacy. Wheeler feared that Kilpatrick intended to destroy the powder works, which were critical to the continued military viability of the Confederate armies. On February 11, 1865, Wheeler set an ambush and drew the Union cavalry into his trap at Aiken, then pounced with nearly 3,000 Confederate horse soldiers. The urban street fighting was short and brutal. Kilpatrick himself was nearly captured, and only hard fighting by his troopers saved his command, which was able to extract itself from Wheeler's trap. Wheeler followed, and a full day of combat ended with one of the final Confederate battlefield victories of the Civil War." According to the author, while Aiken was a Confederate tactical victory, the temporary moment of glory rebounded to their overall detriment in a major way. "Wheeler's stand made the defense of Columbia untenable, and just six days later, Columbia fell. Nearly the entire downtown was burned in a great conflagration, and the Palmetto State suffered." The text is supported by five excellent maps from Mark Moore, one of the great cartographers in the business today and a Civil War North Carolina expert himself. The publisher, a newcomer with a very small but commendable catalog of titles so far, sent me the gray-cloth hardcover version for review consideration, which is always appreciated. With now four related studies under his belt, Dennis Belcher is rapidly becoming one of the leading authorities on the mounted forces (in particular the Union cavalry) that operated in the Confederate heartland during the Civil War. Though I didn't have the chance to read his biography of David Stanley, the general often credited with being the true "father" of the Army of the Cumberland's mounted arm, his The Cavalry of the Army of the Cumberland (2016) and The Cavalries at Stones River: An Analytical History (2017) are both excellent. I consider the Stones River study his best work to date, and his new book The Union Cavalry and the Chickamauga Campaign adopts a similar presentation (though with a one-sided focus this time). From the description: "During the Chickamauga Campaign, General Stanley's two Union cavalry divisions battled Forrest's and Wheeler's cavalry corps in some of the most difficult terrain for mounted operations. The Federal troopers, commanded by Crook and McCook, guarded the flanks of the advance on Chattanooga, secured the crossing of the Tennessee River, then pushed into enemy territory. The battle exploded on September 18 as Col. Minty and Col. Wilder held off a determined attack by Confederate infantry. The fighting along Chickamauga Creek included notable actions at Glass Mill and Cooper's Gap. Union cavalry dogged Wheeler's forces throughout Tennessee. The Union troopers fought under conditions so dusty they could hardly see, leading the infantry through the second costliest battle of the war." The book looks like a worthy companion to David Powell's groundbreaking study of the Confederate cavalry during the Chickamauga Campaign. The preface (which you can read through the title link above) offers a good summary of the contents of the book. 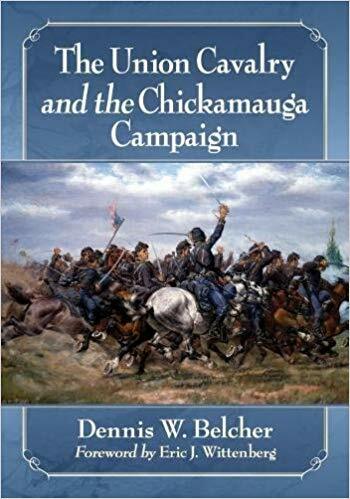 Interestingly, Belcher intentionally abbreviates his own coverage of the key September 18 fighting to a single chapter in anticipation of Eric Wittenberg's book-length study Holding the Line on the River of Death: Union Mounted Forces at Chickamauga, September 18, 1863 (Fall, 2018). Generally speaking, I don't think it advisable that historians pay that kind of deference, given that multiple accounts of the same actions written by good authors are always useful for comparison, but what's done is done. Wittenberg also contributes the foreword to this book. In addition to detailed operational and tactical narratives, Belcher's book includes a multitude of photographs along with numerous organizational charts and tables. It also brings back the lost art of full-page(!) maps, all attractive original creations from cartographer George Skoch. Everything looks good. Regular readers know that I frequently complain about how the 1862 Peninsula Campaign and the Seven Days fighting continue to be neglected in comparison to other eastern theater campaigns of similar stature. My immediate reaction to seeing early notice of The Vermont Brigade in the Seven Days: The Battles and Their Personal Aftermath by Paul G. Zeller (McFarland, 2019) was "Great!," but then I thought about which Seven Days battles the brigade [Second Brigade (Brooks)/Second Division (Smith)/Sixth Corps (Franklin)] figured prominently in and couldn't come up with anything on my own beyond Savage's Station. So I took out my trusty copy of Extraordinary Circumstances: The Seven Days Battles and skimmed over the maps. As far as I can tell, the Vermont Brigade held the far right flank of the Garnett's Farm position on June 27, an important post as it guarded the vital Chickahominy River bridges connecting both wings of the army during the Gaines' Mill fighting. The Vermonters were placed in a similar flank position for the following day's skirmish at Golding's Farm. As mentioned before, it was in the front line at Savage's Station on the 29th (left flank this time), and was also present at the front on the 30th at White Oak Swamp. The brigade was in reserve on July 1 at Malvern Hill. So it seems the Vermont Brigade wasn't exactly in the thick of the fight that week, but it did play an important role in some of the lesser-known actions of the Seven Days and I'm still interested in reading about those experiences. Involving 45,000 Union troops opposed by perhaps little more than 8,000* Confederate defenders, the 1865 Mobile Campaign was a major late-war military operation with considerable drama that has nevertheless oddly lacked a truly comprehensive history. Minor works from Russell Blount and John Waugh have been published, but even the full-length studies from Chester Hearn [Mobile Bay and the Mobile Campaign: The Last Great Battles of the Civil War (1993)] and Sean O'Brien [Mobile, 1865: Last Stand of the Confederacy (2001)] do not approach definitive status by any estimation. 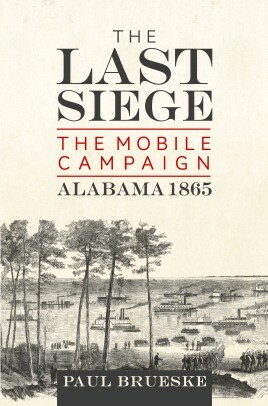 Boasting a deeper and wider range of research than these earlier studies, Paul Brueske's engagingly written The Last Siege: The Mobile Campaign, Alabama 1865 possesses a historiographical heft that, given the brevity of its campaign narrative, exceeds expectations by a fairly wide margin. The famous Battle of Mobile Bay (really a campaign that consumed much of August 1864) captured the forts guarding the entrance to the bay and essentially closed one of the Confederacy's last remaining havens for blockade runners (an achievement often criticized as a year too late), but the city of Mobile itself remained defiant. It would be March of the following year before the Union high command finally marshaled the full power of its military might in the Gulf and directed it toward capturing the last major enemy port east of the Mississippi. During that month, a Union army of two reinforced corps under General E.R.S. Canby, supported by General Frederick Steele's flying column out of West Florida's Fort Barrancas, advanced up the east side of Mobile Bay and began to clear out the formidable Confederate defenses located there. In his coverage of these initial stages of the 1865 Mobile Campaign on last and sea, Brueske devotes considerable attention to Confederate preparations while also recounting in some detail a multitude of Union-initiated recon missions, feints, and skirmishes. The vessels of Admiral Henry Thatcher's naval squadron directly supported Canby's operations but ran into frequent trouble in the shallow waters of the bay from Confederate mines, obstructions, and remaining ships. As the book demonstrates, Confederate prepared defenses on land and sea had a major impact on the pace of the Union advance. As March turned to April, Confederate-held Spanish Fort was invested and quickly evacuated, its garrison moving north to nearby Fort Blakeley, which was similarly surrounded but was more vigorously defended and fell to direct assault on April 9. In addition to covering those events in moderate detail, the book also recounts the taking of Batteries Huger and Tracy, which were essential cogs in the upper bay defenses. Utterly exposed, Mobile was evacuated on April 11. Its garrison fled upriver to Meridian, Mississippi, and federal occupying forces moved into the city on the following day. The Last Siege also contains a fairly extensive epilogue to the active phase of the campaign, describing at some length the department surrender negotiations, the experiences of Mobile Campaign prisoners of war (which ran the gamut from good to strikingly poor), and the parole process. The actions of the 12th Mississippi Cavalry after the campaign, when it continually skirmished with Union forces north of Mobile and even raided the streets of the occupied city, are singled out for special mention. The author also devotes some attention to the post-war lives of many campaign participants. The study concludes with a pair of appendices, the first a discussion of the preservation and ownership conflicts over the 8-inch columbiad Lady Slocomb and the second a very brief overview of the current state of historic sites related to the campaign. As is the case with most conflicts, published Civil War campaign studies come in a wide variety of complexities, from breezy popular histories intended for introductory audiences to densely detailed microstudies fully appreciated by only the most dedicated students of military history. The Last Siege sits squarely in the middle of this spectrum. Though weighted toward the Confederate perspective (but not overly so), the breadth of Brueske's overview of the campaign should satisfy the more demanding reader. However, the book does clearly leave room for more detailed future treatments of the fighting. The text is supported by maps and photos, but the value of the former is inconsistent. Area maps borrowed from previously published sources like the atlas to the O.R. are too shrunken in size to be of much use. The choice was unfortunately also made to forgo commissioning any original maps of the Spanish Fort and Fort Blakeley operations or of any of the multitude of smaller skirmishes recounted in the text. On the other hand, the operational-scale maps depicting the approach marches on both sides of the bay are well done, with historical movements and fighting locations traced over modern satellite photographs of the area. The USCT formed a sizable contingent within Canby's army, and their participation in the storming and capture of Fort Blakeley ended with controversy when they, in revenge for Fort Pillow and similar actions elsewhere, wantonly killed Confederate soldiers in the act of surrendering and afterward. At Ship Island, there were also reports that USCT guards murdered prisoners. In these areas, the book records the events but doesn't offer significant new information regarding the scale of these offenses and the validity of reports. How Mobile residents reacted to the Union occupation is also examined. It is unclear to this reviewer's recollection how pervasive the impression that Mobile was a heavily Unionist city actually is in the literature, but Brueske does effectively counter some specific claims that that was the case. With Forts Powell and Gaines along with much of the bay already secured by mid-1864, the strategic value of the port itself was limited over the ensuing eight months, but Brueske persuasively argues that the city's rail network and river communications along with its intrinsic resources retained strategic value worth being the target of a major operation. Reinforced by elements of the Army of Tennessee after that command's near destruction, the Mobile garrison was also a significant force worthy of taking off the chessboard. That the war was essentially over already is the judgment of aftersight. Lee's army surrendered the same day that Fort Blakeley fell, and definitive word of Appomattox did not reach the Mobile defenders until a week later, so the war was still in full swing during the campaign. The book also usefully addresses contemporary and modern complaints regarding the actions of the Union and Confederate commanders. Dabney Maury, the major general in charge of the bay's defenses, was assailed from both sides, criticized by fellow Confederates for not keeping the evacuated Spanish Fort garrison inside Fort Blakeley and by his Union opponents for deciding to defend Blakeley at all after Spanish Fort was lost. The author does not weigh in himself, but Maury himself offered a reasonable retort that timing issues (particularly the risky nature of water evacuation during daylight hours) prevented the immediate moves suggested by some of his critics and Union caution up to that point in the campaign did not raise high expectations that a full-scale assault on Blakeley would be in the offing on the day after Spanish Fort was captured. Canby also came under fire from both sides. Maury criticized Canby for moving up the east side of the bay instead of investing and assaulting Mobile directly, citing the flat nature of the ground and the humanitarian pressures that the presence of so many noncombatants crowding the city would have had on Confederate decision-making. However, Brueske keenly points to Mobile's swampy northern face and the multiple lines of earthwork defenses built up over years and finds it a reasonable determination on the part of Canby that the forts on the east side would be easier to approach and attack. Union officers, particularly U.S. Grant in his memoirs and engineer Cyrus Comstock, the latter present at the siege, heavily criticized the pace of Canby's movements. The entire campaign did only take a month from beginning to end, and the author justly contends that Comstock's objection was unfair and that Canby's measured approach was merited given the "(i)nclement weather, strong fortifications, deadly land and sea mines, and the unexpected fighting tenacity of the Confederate defenders." Time was on the Union side and unmentioned also is the quite humane determination to minimize friendly casualties. Grant's Memoirs were even more harsh in their treatment of Canby, advancing the opinion that the operation moved so slowly that by the time it ended the gain was worthless and losses in lives and ships without justification. In addition to being criticism from the safety and certainty of hindsight, Grant's assessment also, according to Brueske, unfairly downplays the importance of the campaign and the scale of captured men and materiel. Perhaps some of his harshness stemmed from Grant's frustration looking backward that the place wasn't targeted earlier in the war, as he wished. Well researched, conceived, and executed, The Last Siege is a rather impressive first effort from author Paul Brueske. Among the short list of available candidates for best single-volume study of the 1865 Mobile Campaign, this book deserves heavy consideration for the top recommendation. * - I've come across Confederate strength figures ranging from 6,000 on up to 10,000. The book doesn't include an order of battle for either side, but one can infer some estimate from Brueske's text. According to the author, after the 1864 Battle of Mobile Bay approximately 4,500 troops remained to garrison the city and surrounding fortifications. If it is assumed that none were transferred elsewhere in the meantime, in early 1865 Mobile received 1,500 surplus artillerymen from the Army of Tennessee along with Gibson's brigade of 600 men, Holtzclaw's Brigade, and French's Division of three brigades (those of Cockrell, Ector, and Sears). So 8,000 might be a reasonable estimate of total Confederate strength in infantry, cavalry, and artillery at the onset of the campaign. by Joel D. Citron (McFarland, 2018). It's a certainty that Civil War POW camps were not pleasant places to pass the time until release through either exchange or war's end, and ever since accusations have flown back and forth over whose prisons were worse in their treatment of those held there. Books often take extreme positions, either positing deliberate systemic abuse or dismissing alleged mistreatment as grounded in unreliable sources. 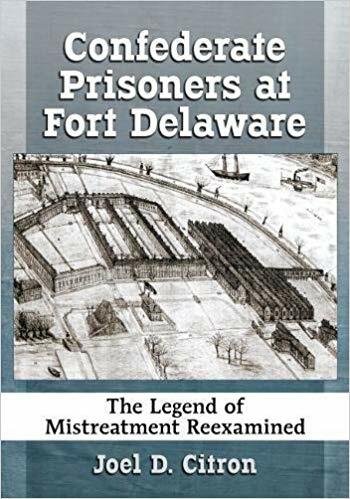 In the preface to his new book Confederate Prisoners at Fort Delaware: The Legend of Mistreatment Reexamined, Joel Citron cites works from William Hesseltine and Charles Sanders as representative of the former and James Gillispie for the latter. Basing his own work on contemporary primary sources, the author aims to avoid propagating legends based on emotions rather than evidence or accounts written long after the war ended. Citron, a chemist by training and long-time Fort Delaware volunteer interpreter by avocation, seeks the truth behind whether the camp was as bad as many believe it to have been. He adopts Fort Delaware as a case study because of his intimate familiarity with the place and its prominence as a major holding facility for Confederate POWs at the time of the breakdown of the exchange system. A significant resource in Citron's investigation is the twenty prisoner diaries that exist. In addition to examining official papers, the author claims also to have discovered many previously unused documents in the National Archives that materially contribute to his study. The book's chapters are arranged thematically rather than chronologically. Among the topics examined are topography & weather; prison structure, personnel & management; security; food rations; shelter & clothing; water supply & sanitation; medical care; and death rates. In support of the text's analyses and conclusions are a very large number of data charts and tables. In the end, Citron finds little evidence of "excess" suffering imposed upon the Confederate POWs held at Ft. Delaware, with no statistically significant change in death rates (in comparison to the previous twelve months) during the alleged retaliation period that followed Union authorities' discovery of conditions in southern camps like Andersonville. It looks like a very worthwhile book for those deeply interested in the study of Civil War prisons. As much as I like Ninety-Eight Days (UT Press, 2000) from the late geologist Warren Grabau (it's my second favorite Vicksburg Campaign book after the Bearss trilogy), the innovative promise of the "geographer's view" aspect of Grabau's campaign study ended up being pretty limited in scope (or at least that's what I recall). Overall, while I appreciated its soil analysis and other "topographic and hydrographic features," the tome's presentation felt more like traditional military history in the end rather than something truly different. Now we have another geologist having another crack at a new way of looking at Civil War military history and count me interested. Microfossil expert Scott Hippensteel’s Rocks and Rifles: The Influence of Geology on Combat and Tactics during the American Civil War "discusses the relationship between geology and fighting during the American Civil War. Terrain was largely determined by the underlying rocks and how the rocks weathered. This book explores the difference in rock type between multiple battlegrounds and how these rocks influenced the combat, tactics, and strategies employed by the soldiers and their commanding officers at different scales." This sounds fascinating, and I hope to get a review copy, though that's a highly uncertain prospect given the list price point and the fact that the publisher (Springer Nature) is a European-based international that I've never worked with before. We shall see. The book will be part of their Advances in Military Geosciences series. 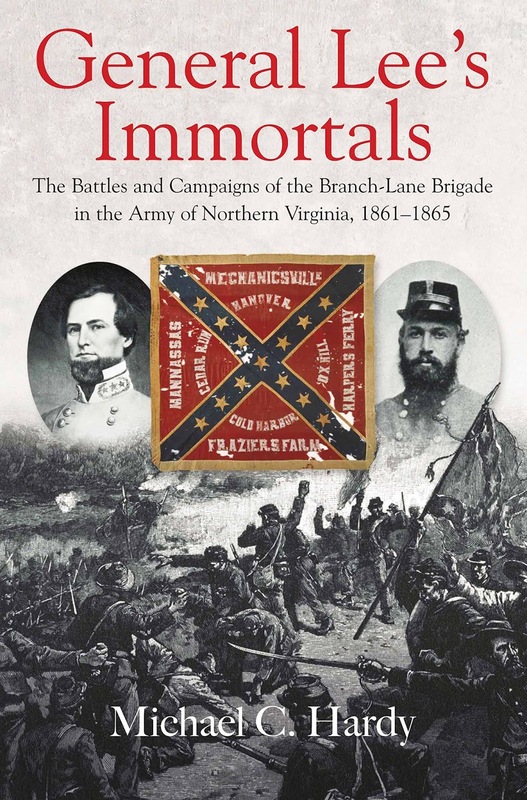 • General Lee’s Immortals: The Battles and Campaigns of the Branch-Lane Brigade in the Army of Northern Virginia, 1861-1865 by Michael C. Hardy (Savas Beatie, 2018). In his recent magazine review of the hardcover first edition of Hardy's General Lee’s Immortals, the elder Krick, who has forgotten more ANV sources than anyone else has ever known about in the first place, delivered one of his patented fatherly scoldings regarding missing primary sources (he does it because he loves), but the book has been generally well received. Only released earlier this year, it is already out in paperback. The brigade became one of the most stalwart mainstays of Lee's army. As the title suggests, the book aims primarily to document the unit's war record from initial organization through surrender at Appomattox. From the description: "This storied brigade was first led by Lawrence Branch, and then by James H. Lane, and served with Lee’s Army of Northern Virginia for its entire existence. These Tar Heels fought in nearly every major battle in the Eastern Theater, including the Seven Days’ Battles, Second Manassas, Sharpsburg (where Branch was killed), Fredericksburg, Chancellorsville (where its members mistakenly shot Stonewall Jackson), Gettysburg (including Pickett’s Charge), the Wilderness, Spotsylvania, North Anna, Cold Harbor, the Petersburg Campaign, and the final retreat to Appomattox. Originally part of A. P. Hill’s famous “Light Division,” the brigade earned high plaudits for its disciplined defensive efforts, hard–hitting attacks, and incredible marching abilities. Its heavy combat exposure, however, resulted in devastating losses. By war’s end, its roll call of casualties far exceeded its number of survivors." In the book, Hardy "allows the men to speak for themselves as they describe their time in camp, endless hardships, long marches, bloody battles, increasing hunger, and much more. In addition to a dozen original maps, General Lee’s Immortals also includes scores of rare photos—many of which were previously unpublished..."
I've been noticing that regimental resolutions have been popping up more often in the current scholarship as featured primary sources. Published in newspapers and seemingly aimed primarily at publicly reminding those at home and across the country of the soldiers' resolve on a variety of weighty (and often controversial) issues related to the war, these resolutions were common to both sides. While presumably designed also to boost home front morale, there could be a dual edge to them, as well, with some even going so far as to chastise and threaten (explicitly or implicitly) fainthearted supporters and opposition elements alike among the civilian population with retribution for breaking faith with the fighting men. I get the impression that the resolutions were primarily a mid to late war phenomenon, when there was increasing disconnect between the war and home fronts. A number of recent books have utilized these resolutions to good effect. Among them, Jonathan White found regimental resolutions to be a rich resource for assessing soldier attitudes during the critical 1864 election cycle. Phillip Dillard similarly found regimental resolutions and petitions useful in discovering how the Confederate rank and file viewed late-war proposals to recruit black soldiers into the army. Most recently from my reading, Paul Brueske notes that Confederate regiments in the Mobile defenses in early 1865 felt the need to publish resolutions reaffirming their faith in the war and determination to fight to the bitter end. Of course, these resolutions raise many questions, among them just how representative they were of not only the regiment's views but the attitudes of the armies as a whole. Recognizing that regiments were highly diverse when it came to member opinions regarding the goals of the war and how it was being fought, White suggests that officer coercion likely played some role in silencing those with minority dissenting views. Among other questions are how and when did regimental resolutions first come about, who wrote them (and what was involved in the approval process), how were the resolutions typically framed, and what particular issues inspired their creation. The list of ponderables goes on and on, and the topic seems abundantly worthy of a book-length examination. by Lance J. Herdegen (Savas Beatie, 2018). Lance Herdegen's Union Soldiers in the American Civil War is an introductory-level book organized and presented along similar lines to Mark Hughes's The New Civil War Handbook (2009) and The New Gettysburg Campaign Handbook (2011) from J.D. Petruzzi and Steven Stanley, all from SB. The book "offers a complete guide for Civil War enthusiasts of all ages. Herdegen employs nearly 100 photographs coupled with clear and concise prose broken down into short, easy to understand chapters to better understand these men. Coverage includes such varied topics as the organization of the Union Army, learning to be soldiers, winter campaigning, photography, sick call, nurses, religion, discipline, prisoner of war camps, weaponry, uniforms, as well as numbers and losses and the strengths of the various Union armies. It also examines the participation of U.S. Color Troops and the role played by African Americans during the Civil War. 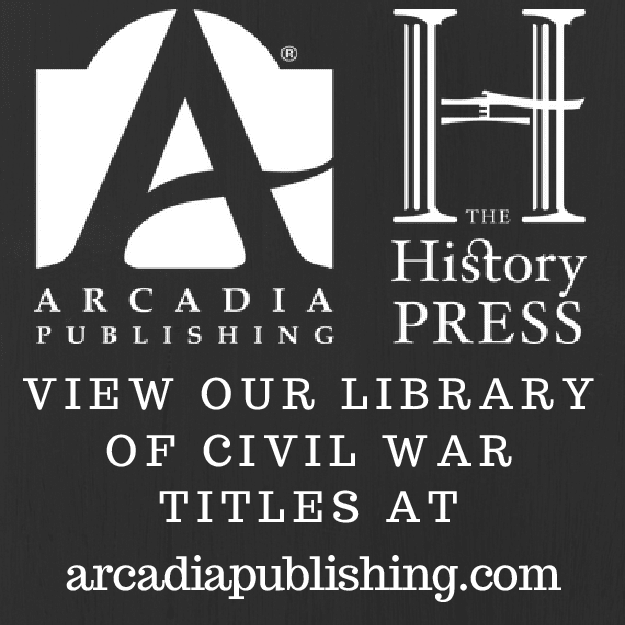 This handy reference book includes a list of Civil War points of interest, some bookshelf suggestions, and a glossary of Civil War terms." There's a Confederate companion volume in the pipeline, too, that one authored by Mark Hughes. Like many of his fellow opportunity-seeking countrymen, Pennsylvania's Daniel Showalter undertook the arduous journey to California in 1852 with hopes of striking it rich in the gold fields. He settled in Mariposa County, and eight years later was elected to represent his fellow citizens in the State Assembly. Despite his northern birth, Showalter aligned himself politically with Southern Democrats and played an active role in the intensely partisan three-party legislative debates that occurred during the weeks leading up to the outbreak of Civil War. He also holds the historical distinction, if you can call it that, of fighting California's last political duel, when on May 25, 1861 he shot and killed fellow Democrat Charles Piercy. When it became clear that California would remain solidly pro-Union, Showalter determined to leave the state for Confederate territory. However, his traveling party was intercepted at the state border, and Showalter would be incarcerated for five months. Upon release he once again set out for Texas, where he finally obtained a field grade officer commission in the Confederate Army's 4th Cavalry Regiment of the Arizona Brigade. His 1863-65 Civil War service consisted mostly of protecting the northern frontier in 1863 and repelling various Union incursions along the state's Gulf and international borders during the balance of the conflict. While his military career was rather distinguished, Showalter's life ended in 1866 in ignominious fashion, when he died from tetanus after being seriously wounded in a drunken confrontation in a Mexican bar. 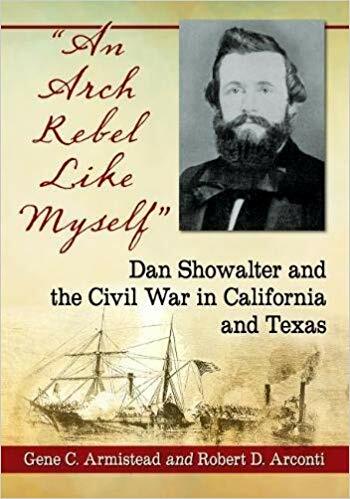 His historically significant and largely untold life story is examined for the first time in comprehensive fashion in Gene Armistead and Robert Arconti's "An Arch Rebel Like Myself": Dan Showalter and the Civil War in California and Texas. As is often the case when researching Civil War figures, the authors weren't gifted with a biographical subject who left behind an abundance of primary source material. Showalter died fairly young at the age of 35 and little in the way of his personal papers have been discovered beyond a few letters. Most of the available documentation is related to his official duties as California State Assemblyman and as a Confederate officer during the last half of the war. Therefore, it's not too surprising that the bulk of Armistead and Arconti's narrative concentrates on those two facets of Showalter's life. The authors do a fine job of filling in gaps with information gleaned from other sources, offering reasoned speculation on Showalter's likely activities during the frustratingly frequent periods of time when primary evidence is almost entirely absent (ex. during much of Showalter's 1863 military service in North Texas and Indian Territory). The 1861 session of the State Assembly would not be remembered fondly in the annals of California legislative history. Partisan rancor meant that it would take well over 100 ballots just to chose a Speaker, and party wrangling between Republicans, Douglas Democrats, and Breckinridge Democrats over issues as small as the staffing of the state asylum meant that little was accomplished. In mid-April, Showalter was selected Speaker pro tem. Amid the heated atmosphere following the firing on Fort Sumter, Douglas Democrat Charles W. Piercy objected to Showalter's attempt to explain a vote before the assembly and, taking offense to Showalter's response, challenged the Breckinridge Democrat to a duel. Even the newspapers of the time noted the silliness of dueling over such an insignificant matter, but the event nevertheless took place and Showalter killed Piercy. With dueling illegal in the state, Showalter adopted a low profile to avoid prosecution. Both legislative session and duel are recounted at length in the book, with both sections constituting fresh contributions to the published record. When the September 1861 election cycle went decisively for pro-Union candidates and his arrest as a duelist and prominent southern sympathizer seemed ever more likely, Showalter determined to flee the state. He joined a sizable band of like-minded individuals and set out to cross the southern deserts to Texas. Since Showalter was the group's most prominent member, he is often portrayed in the literature as the leader of the "Showalter Party," but the book persuasively argues that a man named Theodore Wilson was actually in charge. Richly detailed accounts of this and other Confederate odysseys from California that also meticulously reference the coordinated efforts by Union authorities to block their passage and arrest their members (a topic that very well might merit a book-length study of its own) are rarely found in the Civil War literature, so this section of the book constitutes a rather remarkable case study. Captured in November 1861, Showalter and the rest of the men were confined at Fort Yuma for several months (often at hard labor) before being released upon taking an oath of allegiance. In April 1862, Showalter was finally allowed to leave the state, and reached Texas by the end of the year after a long, arduous journey by land and sea. Upon arrival in Texas, Showalter appears to have been attached to General John B. Magruder's staff as an aide, with a temporary rank of captain of artillery. Though official details are very sketchy, the book confirms that he played some role in the battles of Galveston and Sabine Pass in that provisional capacity. Showalter would eventually get a formal commission as Lieutenant Colonel of the aforementioned 4th Cavalry Regiment of the Arizona Brigade. With recruits coming from California, Missouri, and Texas and equipment in short supply, it took nearly a year for the unit to even approach a full complement of companies. However, circumstances would not wait, and Showalter was ordered to take a battalion of the 4th to North Texas in 1863, where they fought Union forces in Indian Territory and helped secure the border from Southern Plains Indian raids for the balance of that year. Unfortunately, as mentioned before, official documents and other sources associated with the 4th from this period are so scarce that only a vague outline of Showalter's activities can be pieced together, mostly by inference. The source situation improves in 1864, when Showalter and his men were transferred to southern Texas to fight under Colonel John S. "Rip" Ford's command in the Rio Grande Valley. The book documents several small battles and skirmishes fought there, including actions at Rancho Las Rucias on June 25 and Brownsville on July 27. Showalter would become embroiled in controversy stemming from the September 6-7, 1864 fight at Palmito Ranch. According to some accounts, which often erroneously compressed the two days of fighting into a single day, Showalter was so incapacitated by drink that one of his subordinates, Lt. Col. George Giddings, was forced to relieve him of command and save the day. Though the authors find the drinking charges difficult to refute, the fact that Showalter was able to hold off a combined Union and Mexican Cortinista force that greatly outnumbered his own for most of two days seems to at least refute the notion that he was falling down drunk. According to the authors, claims from some writers that Giddings took over the battle are not credible. Unfortunately, no record has been left of the court-martial proceedings, or even the charges and specifications, just a vague statement from Ford's memoirs written decades after the war ended that Showalter was cleared. The 1865 Battle of Palmito Ranch greatly overshadows its predecessor, and this section of the book comprises a significant contribution to the historiography of the lesser-known first Battle of Palmito Ranch. Though months passed with his official status in limbo, Showalter eventually returned to head the regiment once more and was with it when the 4th, like so many other Confederate Trans-Mississippi units, disbanded itself rather than formally surrender. Showalter chose exile in Mexico over returning to a California that very likely held no future for him. Settling in Mazatlan, he was mortally wounded in a hotel bar fracas in 1866. In the end, Armistead and Arconti offer readers a judicious assessment of their subject's life and career. Evidence doesn't exist to paint a full portrait of Showalter's family life and personality, but the historical record uncovered by the authors seems to suggest that he was an able politician and competent military leader. While he was never really placed in a situation where he could shine as an independent commander, Showalter's abilities were respected by superiors and subordinates alike. On more than one occasion, commanders praised his regiment for its exceptional dependability (and similarly lamented its transfer elsewhere). Given the unit's overall effectiveness, it's also more than likely that Showalter was a proficient organizer and administrator amid the trying logistical conditions of the Trans-Mississippi West. It's also clear that he was a binge drinker. Though a bout of heavy drinking directly contributed to Showalter's death, the authors are of the opinion that alcohol use did not significantly impair his military judgment at any point during the war, with the 1864 incident at Palmito Ranch more likely occurring after the battle than during it (though we will perhaps never know the truth). The book builds a reasonable case that much of the existing historiography related to Showalter's alleged alcoholism is based on writers' uncritical acceptance of thin, secondhand evidence. An issue that will undoubtedly figure prominently in the minds of readers is why did Showalter, a native Pennsylvanian who never resided in the South, support the Southern Democrat wing of the party and later join the Confederate Army. The authors raise a good point that his native Greene County, PA bordered Virginia (now West Virginia) on two sides and was heavily influenced by southern demographics and political culture. It was also one of the small minority of Pennsylvania Counties that went for McClellan in the 1864 presidential election. This environmental upbringing, combined with likely significant California associations with southern miners in Mariposa County, makes Showalter's ideological outlook, if still unusual, at least more understandable. What was behind his desire to actively serve in the Confederate Army, as opposed to just sitting out the conflict, can only be a topic of speculation. With previous treatments of Showalter's life limited to a dated journal article and scattered published materials frequently rife with inaccuracies, Armistead and Arconti's modern book-length biography marks a vast improvement of affairs. Showalter was an important actor in California politics during the secession crisis and a significant military figure in Confederate Texas over the last half of the war, so his life certainly merits a deeper study of this kind. 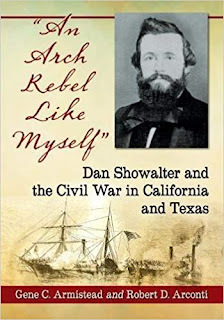 "An Arch Rebel Like Myself" effectively navigates the serious source constraints imposed upon its authors to become what might very well be the final word on the military and political careers of Daniel Showalter. Anyone interested in Civil War era California and Texas will greatly benefit from reading this fine biography. by Jody Edward Ginn and William Alexander McWhorter (TAMU Press, 2018). Coming in at less than 100 pages of narrative, Palmito Ranch is a quick read with a triple focus, discussing (1) both the 1864 and 1865 battles, (2) the archaeological studies performed at the site, and (3) the preservation work that led to the creation of the Palmito Ranch federal landmark. The text is supplemented by numerous color and B&W photos, maps, and drawings. The authors were important participants in the process of preserving and interpreting the site, so the volume offers a firsthand perspective. 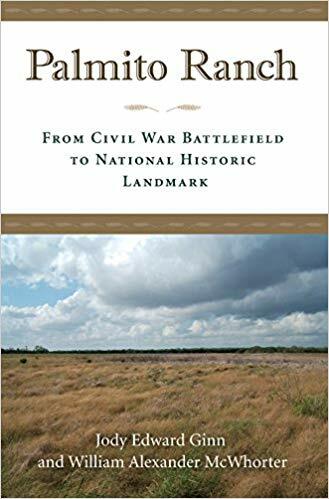 The book also claims to offer new information on the Palmito Ranch battles, which should grab the attention of those interested in the relatively few inland engagements of any size fought in Texas. "Opening with a crisp retelling of the principal military events that unfolded at Palmito Ranch, near the Confederate port city of Brownsville, Ginn and McWhorter recount the initiative pursued by a multidisciplinary team organized largely through the efforts of the Texas Historical Commission to study, document, and preserve this important Texas historic site. Now, visitors to the area may benefit from not only improved and expanded historical markers, but also a radio transmitter and a viewing platform, along with other interpretive aids. All this is due to the campaign spearheaded by McWhorter, Ginn, and a cohort of dedicated volunteers and professionals." More from the description: "Providing a case study in constituency building and public awareness raising to preserve and promote historic sites, Palmito Ranch will interest and educate heritage tourists, Civil War enthusiasts, and travelers to South Texas and the Lower Rio Grande Valley." For those who enjoyed Scott Hartwig's To Antietam Creek: The Maryland Campaign of September 1862 (JHUP, 2012) and are wondering how the second volume is shaping up, a helpful reader directed me to the author's Facebook page, where periodic progress reports appear. The last one from early June noted that the writing of the book's Sunken Road section (three chapters at over 100 pages) was just completed. Hartwig also gives a little insight into his process, too. 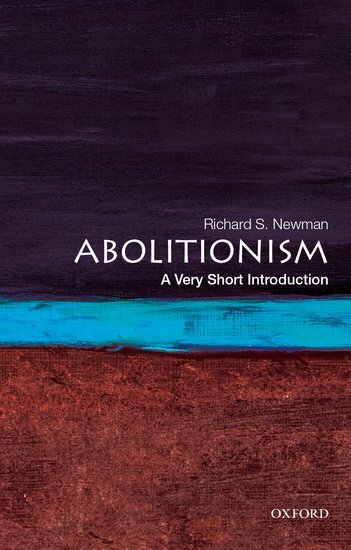 • Abolitionism: A Very Short Introduction by Richard S. Newman (Oxford UP, 2018). Abolitionism is a new entry in Oxford's Very Short Introductions series, which tasks subject experts with brief overviews that "combine facts, analysis, perspective, new ideas, and enthusiasm to make interesting and challenging topics highly readable." Most of you have probably seen these before in bookstores. The slim, little 4"x7" volume is attractively packaged, with chapter bibliographies included at the back in lieu of formal endnotes. From the description: "In this succinct narrative, Richard S. Newman examines the key people, themes, and ideas that animated abolitionism in the eighteenth- and nineteenth-centuries in the United States and internationally. Filled with portraits of key abolitionists - including Frederick Douglass, William Lloyd Garrison, Anthony Benezet, Toussaint L'Ouverture, Elizabeth Heyrick, Richard Allen, and Angelina Grimké - the book highlights abolitionists' focus on social and political action. From the Underground Railroad and legal aid for oppressed people to legislative lobbying and military service, abolitionists employed every conceivable means to attack slavery and racial injustice. Their collective struggles helped bring down slavery - the most powerful economic and political institution of the age - across the Atlantic world and inspired generations of reformers." by William S. Kiser (Univ of Okla Press, 2018). A recently minted PhD, Kiser is already the author of four major studies dealing with the nineteenth-century American Southwest, and he's rapidly becoming a rising authority of the region and period. Readers might recall that I liked his Turmoil on the Rio Grande: The Territorial History of the Mesilla Valley, 1846-1865 (2011), and Kiser's scholarly work has also delved into peonage and captive-taking in the Southwest along with Apache resistance in southern New Mexico between the Mexican War and the beginning of the Civil War. 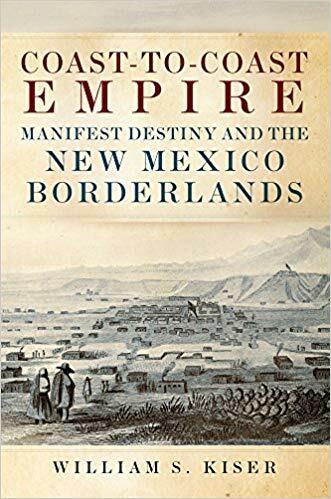 His new book is Coast-to-Coast Empire: Manifest Destiny and the New Mexico Borderlands. The book marks a fresh attempt at integrating a variety of associated historical topics. From the description: "Previous histories have treated the Santa Fe trade, the American occupation under Colonel Stephen W. Kearny, the antebellum Indian Wars, debates over slavery, the Pacific Railway, and the Confederate invasion during the Civil War as separate events in New Mexico. In Coast-to-Coast Empire, William S. Kiser demonstrates instead that these developments were interconnected parts of a process by which the United States effected the political, economic, and ideological transformation of the region." As the subtitle indicates, the concept of Manifest Destiny and the Southwest's fundamental place in it is a principal theme of the study. "New Mexico was an early proving ground for Manifest Destiny, the belief that U.S. possession of the entire North American continent was inevitable. Kiser shows that the federal government’s military commitment to the territory stemmed from its importance to U.S. expansion. Americans wanted California, but in order to retain possession of it and realize its full economic and geopolitical potential, they needed New Mexico as a connecting thoroughfare in their nation-building project. The use of armed force to realize this claim fundamentally altered New Mexico and the Southwest. Soldiers marched into the territory at the onset of the Mexican-American War and occupied it continuously through the 1890s, leaving an indelible imprint on the region’s social, cultural, political, judicial, and economic systems." As Andrew Masich has also argued in his own work, Kiser views the military as a key societal agent of regional change and development. "By focusing on the activities of a standing army in a civilian setting, Kiser reshapes the history of the Southwest, underlining the role of the military not just in obtaining territory but in retaining it." With an industrial base and pool of skilled marine carpenters and engineers that paled in comparison to the vast human and material resources available in the northern states, the Confederacy was nevertheless able to initiate construction of fifty ironclad warships, completing nearly two dozen (and almost finishing the outfitting of four more) before the Civil War ended. Even though Confederate States Navy ironclads proved effective in combat and several had quite impressive individual careers, inadequate engines were among the chief criticisms of the entire program. 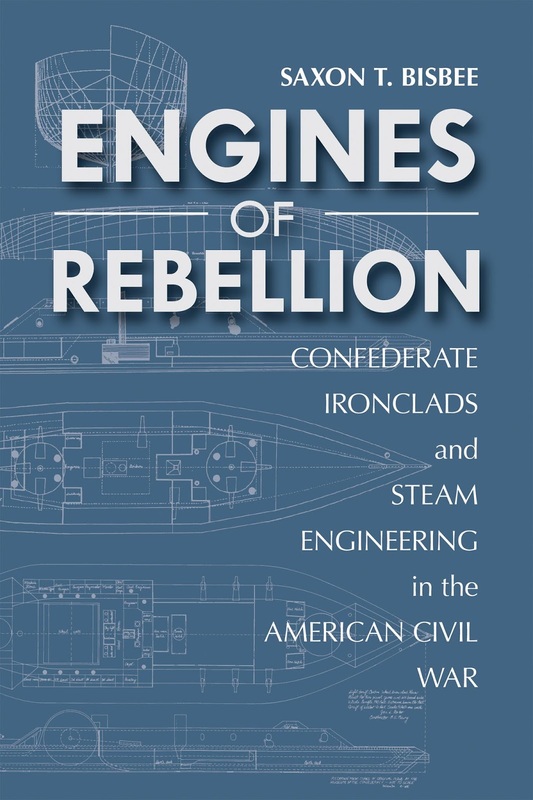 It is analysis of the design and performance of this vital internal machinery that is the chief focus of Saxon Bisbee's Engines of Rebellion: Confederate Ironclads and Steam Engineering in the American Civil War. The book begins with a brief overview of the three general design types of mid-nineteenth century steam power plants used by both sides during the war. Readers without a background in steam engineering will likely find the descriptive text a bit unforgiving in places, but the author does thoughtfully insert a fairly extensive glossary inside the book that helps with the technical terminology. Much of the data provided will have mostly reference value anyway. The section does a good job of introducing antebellum developments in steam propulsion systems and their variations in shipboard arrangement. Particular design elements are helpfully explained in terms of their benefits and drawbacks, both in general and for warships. For example, long tubular boilers help with distributing weight and lower a vessel's center of gravity. With even armored warships subject to penetrating shot, the placement of such potentially dangerous vital mechanicals well below the waterline was of obvious benefit. Also briefly explored is the genesis of the Confederacy's ironclad program along with select profiles of the most important individuals involved (two of the more towering figures being chief naval constructor John L. Porter and Engineer in Chief William P. Williamson). Bisbee's organization of the twenty-three finished and four unfinished ironclads into eight categories usefully distinguishes ship classes1 while also illustrating progressive design enhancements, improvements in propulsion systems (adapted and purpose-built), and evolving operational directives. While the Union Navy hurriedly constructed timberclads as a stopgap measure until a sizable class of purpose-built ironclads could be deployed, the Confederacy strove immediately to put three ironclad conversions into commission (CSS Manassas, Virginia, and Baltic). As one might expect in these early conversions, the engines proved less than efficient in all three. However, in withholding the blanket criticisms often advanced in the general literature, Bisbee effectively reminds readers that marine steam engines were still relatively new technology in 1861, and Confederate engineers deserve more credit that they typically get for their creative repurposing of existing engines2. Indeed, as Bisbee asserts, the fact that the Virginia's already condemned engines, rescued after further insult by extensive saltwater immersion when the Merrimack was burned and scuttled, were put in decent working order at all was an impressive feat. The next group of vessels, the first keel-up constructed ironclads termed by Bisbee the "early nonstandard" designs (CSS Louisiana, Arkansas, and Georgia), had similar mechanical problems that plagued the conversions, but, as the author argues, were equally weakened by compromise design decisions (ex. large size and unconventional mechanical layout) related to dual-purpose objectives of harbor defense and offensive (i.e. blockade-breaking) cruising capabilities. On paper, the engines for all three should have performed well, but teething problems related to wedding the then current propulsion technology to experimental warships of completely original conception and design were inevitable. Indeed, the author makes the case that the final failure of the Arkansas's famously temperamental engines was most likely the result of human error in operation rather than intrinsic defects in the engine and its supporting mechanical apparatus. The resource-starved Confederacy's urgent need for a smaller, simpler standardized hull designed for a single, specialized purpose (with harbor defense judged to be the highest priority) was first met with the six completed vessels of the Richmond-class. According to Bisbee, this ship series conclusively demonstrated that Confederate industry and engineering had the ability to construct numerous effective ironclads and employ them in the defense of key ports, but challenges remained in reducing draft and in finding or producing compatible engines. In the process, industrial facilities like those at Richmond, Virginia and Columbus, Georgia proved capable of "learning, adapting, and improvising to meet the demands of war." (pg. 117), providing either new or reconditioned engines and parts to ironclads that were being built all across the Confederacy. The next stage in the evolution of standardized hull designs were the two vessels of the Tennessee-class. Though larger, they were more maneuverable, better armed and armored, and drew less water than the Richmond-class ironclads. While the Tennessee benefited from an unusual success in converting a riverboat engine to screw propulsion, the Columbia had an excellent new purpose-built engine. Another group of standard, or likely standard, hull ironclads were also completed (the Charleston, Virginia II, and Nashville) before alternative hull forms meant to lower draft, require less skilled labor (via the elimination of curves), and speed construction could be realized. As one might expect after the introduction of big design changes, the first two experiments in alternate diamond-hull designs were failures even with good engines, their poorly anticipated hydrodynamic characteristics leaving them essentially immobile. However, the next generation of diamond hulls (the Albemarle being the most prominent representative) would prove much more successful, and though three of the four operated on borrowed riverboat engines, the ones for which documentation exists seem to have worked well. In the remaining four uncompleted ironclads would be seen the entire evolution of Confederate ironclad building, including some of the most significant improvements and innovations (at least in theory). The Mississippi was a very early design, but three of the four vessels were the product of extensive learning processes in the areas of construction, armor configuration, mechanical systems, and combat capability. In the end, the author considers the Milledgeville and Wilmington to be the "pinnacle" of Confederate ironclad design, even though neither was ever tested in combat. Unfortunately, many Confederate naval records were destroyed in the waning moments of the war, and available documentation varies widely among the twenty-seven ironclads referenced in the book. Where possible, for each ironclad Bisbee discusses vessel specifications; information and dates associated with the construction process (including building firms and prominent individuals involved); and engine type and provenance. Brief ship commander and engineer profiles are included, along with operational summaries. Results of archaeological studies help fill some of the gaps in historical documentation, and accounts written by ship's engineers that directly address the mechanical systems and how they performed are reproduced at length. The last offer rare and valuable insights into the operational history of Confederate ironclad engines. Throughout the book, the text is supported by period photographs, numerous line drawings, and modern reproductions of vessel and engine design plans. Unfortunately, most of the latter are so reduced in size (only filling 1/3 of the page) that details and labels are difficult to recognize. In addition to the aforementioned glossary of terms, another useful supplement is the compiled appendix of engine specifications for each ship. In the final estimation, Bisbee persuasively dispels the persistent myth that all Confederate ironclads were intrinsically flawed, particularly in the quality and make of their steam machinery and propulsion systems. 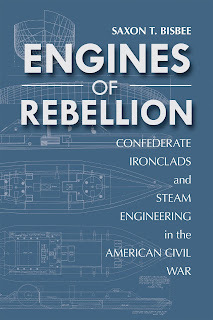 Beyond reminding us that even resource-rich Union naval designers and builders struggled mightily to harness period steam engine technology to adequately power their own heavy ironclads, the book amply demonstrates that Confederate vessels operated and fought very effectively when given the opportunity. Generally speaking, their engines performed as well as could be expected given the available steam technology of the period and infant state of armored warship design and architecture. 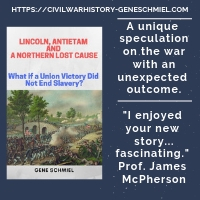 A recent book postulated that it was Union engineering superiority combined with Confederate inferiority that proved to be the most decisive factor in winning the Civil War3. Though exaggerated, there's some merit to that view, but Bisbee's Engines of Rebellion offers a powerful counterpoint. At least in the area of ironclad construction, Confederate builders and engineers were able to overcome severe limitations in heavy industry, money, skilled labor (particularly naval carpenters and mechanics), raw materials, and transportation to complete nearly two dozen powerful modern warships. The book very effectively argues that the Confederate ironclad program, operating under enormous wartime pressures, was a remarkable achievement of engineering improvisation and skill. This fascinating study of Confederate ironclads and the machinery that drove them is a significant contribution to Civil War naval history and technology. 1 - The use of the term "class" is generous in describing a series of vessels with somewhat similar construction but rather significant variations in physical dimension, armament, and design. Nevertheless it's usefully employed for lack of a better word. 2 - The Confederates were also able to re-engineer a number of steam engines originally built for powering paddlewheel riverboats into driving screws (the overwhelming majority of CSN ironclads were screw steamers), a difficult task that met with varying degrees of success. 3 - Engineering Victory: How Technology Won the Civil War by Thomas F. Army, Jr. (Johns Hopkins University Press, 2016). by Christopher Childers (Johns Hopkins UP, 2018). Part of JHUP's Witness to History series, The Webster-Hayne Debate examines one the great Senate debates over the preferred purpose and role of the federal government in the union of states. "Was it a confederation of sovereign states or a nation headed by a central government? To South Carolina Senator Robert Y. Hayne and others of his mindset, only the vigilant protection of states’ rights could hold off an attack on the southern way of life, which was undergirded by slavery. Massachusetts Senator Daniel Webster, on the other hand, believed that the political and economic ascendancy of New England―and the nation―required a strong, activist national government." The emerging West figured prominently in the conversation, and author Christopher Childers "focuses on the sharp dispute that engaged Webster and Hayne in January 1830. During Senate discussion of western land policy, Childers explains, the senators’ exchanges grew first earnest and then heated, finally landing on the question of union―its nature and its value in a federal republic. Childers argues that both Webster and Hayne, and the factions they represented, saw the West as key to the success of their political plans and sought to cultivate western support for their ideas." 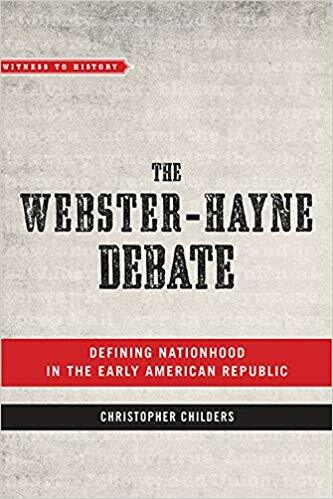 More from the description: "A short, accessible account of the conflict and the related issues it addressed, The Webster-Hayne Debate captures an important moment in the early republic. Ideal for use in college classrooms or for readers interested in American history, this book examines a pivotal moment and a critical problem in the history of US politics. It also shows how Americans grappled with the issues of nationalism, sectionalism, and the meaning of union itself―issues that still resonate today." The Last Siege is a study of the Union Army's month-long 1865 land campaign that captured Spanish Fort and Fort Blakely, actions which successfully forced the evacuation of Mobile itself. The closest comparable work, Sean O'Brien's Mobile, 1865: Last Stand of the Confederacy, was published back in 2001. I don't recall much about that one beyond being left wanting more detail. 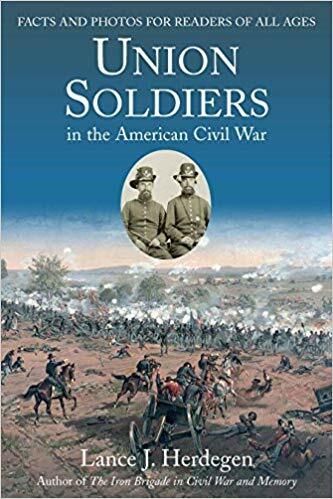 At less than 200 pages of narrative, Brueske's book is not an exhaustive attempt at addressing the military aspects of a major Civil War campaign, but the research appears quite substantial. The bibliography suggests serious archival research and includes long lists of all source types related to the campaign. Brueske is certainly correct that the 1865 land operation against Mobile is greatly understudied in comparison to other campaigns of similar size and significance. His attempt at rectifying the situation "explores the events surrounding th(e) siege and capture of Mobile, Alabama. The Union victory at the battle of Mobile Bay in 1864 ended blockade running from the port of Mobile. Uncaptured, the city remained a priority for the Confederates to defend and the Federals to attack. This book gives a new perspective on the strategic importance of Mobile as a logistical center which had access to vital rail lines and two major river systems, essential in moving forces and supplies. Included are the most detailed accounts ever written on Union and Confederate camp life in the weeks prior to the invasion, cavalry operations of both sides during the expedition, the Federal feint movement at Cedar Point, the crippling effect of torpedoes on U.S. naval operations in Mobile Bay, the tread-way escape from Spanish Fort, and the evacuation of Mobile. The entrance of Federals into the city and the reaction of the citizenry are featured. In doing so evidence is presented that contradicts the popular notion that Mobile wholeheartedly welcomed the Federals and was a predominately pro-Union town." Booknotes: "The Devil's To Pay" paperback ed. by Eric J. Wittenberg (Savas Beatie, 2018). “The Devil’s to Pay” is a book-length treatment of the important role played by General John Buford and his cavalry division during the Battle of Gettysburg. Though coverage extends from June 29 through July 2, there is special emphasis on Buford's celebrated July 1 delaying action. The book, just released in paperback, "also includes a detailed walking and driving tour of pertinent sites, complete with GPS coordinates. Three appendices address the nature of Buford’s defense at Gettysburg, whether his troopers were armed with repeating weapons, and whether a feint by his men late in the day caused the Confederate infantry to form “squares” (a Napoleonic defensive tactic). Finally, 17 maps by Gettysburg cartographer Phil Laino, together with more than 80 images, several published for the first time, round out this study." 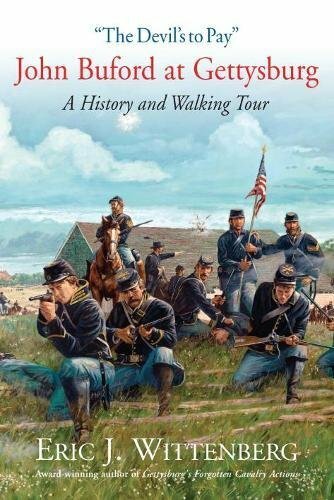 Go here to read my positive review of the original 2014 edition, which won that year's Gettysburg Civil War Round Table Book Award. These paperback reprints are especially useful for those wanting to extensively utilize in the field the map and touring elements of the book without soiling the hardcover first edition. Review - "Contested Loyalty: Debates over Patriotism in the Civil War North" by Robert Sandow, ed. Past proposals by historians that internal divisions were the primary cause of Confederate wartime defeat spawned an extensive literature related to Civil War loyalty and dissent. Though the northern home front was never completely neglected in these areas, a significant sectional imbalance emerged in the scholarship. 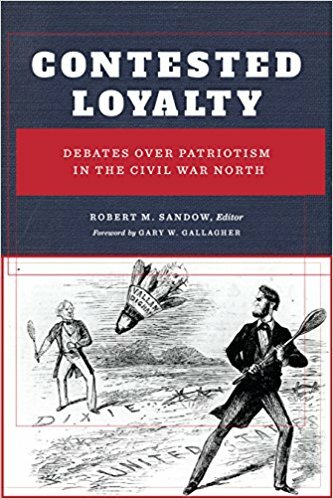 However, in recent years this North-South gap in the historiography has significantly narrowed, and many of the historians involved in this process are featured in the excellent new essay anthology Contested Loyalty: Debates over Patriotism in the Civil War North, edited by Robert Sandow. Generally speaking, the essays in Contested Loyalty presuppose the existence of "layers" of loyalty within individuals, a context that often serves as a useful starting point for deeper examination. Melinda Lawson's opening essay looks that the relationship between sacred duty and patriotism, specifically the similarities and differences between the views of antislavery moderate Abraham Lincoln and the radicals Wendell Phillips and George Julian. All agreed that the Declaration of Independence was the U.S.'s defining document and that duty combined with action as the means to an end that upholds those ideals was the highest form of patriotism. Differences lay in Phillips's initial support for disunion and the more radical pair's belief that duty nearly always trumped regard for consequences, which are often unpredictable anyway. Unlike Phillips and Julian, however, Lincoln had much more measured concern for the short and long term outcomes of his actions, leading Lawson to label the president's sense of duty as much more "deliberative" by comparison and the one best able to achieve the ideological goals of all three men. With the Peace Democrat literature, both older and more modern studies, largely concentrated on the Midwest opposition, the next chapter from Matthew Warshauer instead examines Connecticut "Copperheadism." Distinct from the three individuals mentioned above, these conservative Democrats insisted upon their strict interpretation of the sanctity of both Constitution and Union, believing their party to be the true loyal defenders of both and Republican radicalism the source of much of the country's woes. Nearly unseating the state's Republican governor in 1863 (which would have been a wartime first) and very nearly handing the state to McClellan in the 1864 election, with the soldier vote likely the decisive factor on both occasions, Connecticut's Peace Democrats were the strongest among the New England states. Why this was so seems to have been in large part related to the leadership's adroit coupling of consistent, principled ideological opposition to Republican war measures with compliance of the law. In this way, the state's Peace Democrats avoided violent backlash and were able to build an exceptionally robust political challenge to majority attempts at narrowly defining loyalty. Jonathan White's essay looks at a seemingly innocuous Pennsylvania relief proposal that instead serves as yet another example of how contested loyalty became an embittering political football. After Confederate raids caused a great deal of property damage in southern Pennsylvania, a relief bill was introduced in the state legislature. Members from both parties opposed it on various grounds, but one of the largest sticking points was Republican insistence on a loyalty test, which Democrats were justifiably wary of given the wider tendency among Republicans to brand all political opposition as disloyal. Oddly enough, it was even proposed (without any justification) that Pennsylvania Democrats, who resided in the southern counties in large numbers, invited Confederate attacks in order to harm the Republican war effort and at the same time line their own pockets at taxpayer expense. The essay provides another defining example of the great lengths that many northern partisans would go to to wield loyalty as a political weapon. Julie Mujic uses the correspondence between staunch Peace Democrat Gideon Winan Allen and his equally passionate abolitionist Republican fiance Annie Cox to discuss in fascinating fashion perhaps the most personal layer of contested loyalty, that between husband and wife (or in this case the betrothed). In what must be a remarkable set of letters, the Allen and Cox correspondence is filled with vigorous debates over all the great contentious issues of the war, including loyalty and treason. Throughout their letters, both writers used the war's conflicts in the areas of politics and loyalty to learn about each other. Nearly always disagreeing in the end, they were nevertheless able to forge a loving relationship of political opposites that stood in stark contrast with the country as a whole and found in their mutual bond an even higher fidelity that could not be shaken. Kanisorn Wongsrichanalai's study of 25 college-educated New Englanders finds a variety of political ideologies but consistent support for a vigorous prosecution of the war. Distrusting the democratic masses and viewing themselves as a national elite sharing traditional New England values of "free labor, business, education, and abolitionism," these young men nevertheless demonstrated differing views on the country's political and military leadership as well as policies like wartime emancipation. However, loyalty to the Union, and the obligation of working toward its preservation, was their common cause and overarching concern. The next essay enters the sphere of wartime conflict between religious conscience and public expressions of loyalty. Pennsylvania Presbyterian minister and seminary professor William S. Plumer was widely admired before the war, but his refusal to explicitly pray for Union battlefield victories and condemn the rebellion in the strongest possible terms (citing the dictates of his conscience that the pulpit should be apolitical and not a forum for secular partisanship) began a long period of persecution that ended with the minister leaving his position. As Sean Scott's interesting case study shows, Plumer fell victim to both a northern society that could reach no common ground on what constituted loyalty and a bitterly divisive wartime atmosphere that did not condone separation between the sacred and the secular worlds when it came to public professions of fealty to the Union and the war fought to preserve it. Judith Giesberg's chapter amply demonstrates that pursuing work in key war industries was no guarantee against groundless suspicion of disloyalty. In her study of Philadelphia seamstresses, Giesberg finds that those women believed strongly that their war work was testament to their loyalty and they often had to fight with military contractors who equated worker efforts to organize with Copperhead opposition to the war. The more unscrupulous middlemen often used allegations of disloyalty, or just suspected disloyalty (ex. having no husband or male relatives in the army), as an instrument of control and grounds for discharge. Timothy Orr offers another example of the intersection between war work and concepts of loyalty. His chapter examines the termination of Allegheny Arsenal workers in 1863 for disloyalty amid a domestic climate charged by the proximity of Confederate invasion and an invigorated peace movement on the home front. Simply on hearsay and vague accusations of dissent (all compiled by a hostile newspaper editor), the arsenal commander dismissed fifteen workers, though he was later forced to reinstate them. The chapter is perhaps most interesting for what is says about the work itself. According to Orr, officials at the time often viewed ordnance workers as recipients of government benevolence subject to suspicion rather than individuals demonstrating their loyalty to the nation through work essential to winning the war. That these skilled men remained vulnerable to conscription attests to this less than valuing attitude, which stood in marked contrast to how similar work was treated in the U.S. during the two world wars of the next century. In the next chapter, Ryan Keating interestingly contrasts the mid-war disillusionment of the New York Irish population that culminated in the horrific draft riot of 1863 with the lack of similar sentiments and actions by Irish-Americans hailing from more integrated Wisconsin and Connecticut communities. Volunteers who enlisted in the 17th Wisconsin and 9th Connecticut regiments and fought in the western theater—where they won more victories while at the same time suffering fewer casualties than their eastern counterparts in the famous Irish Brigade—certainly had similar policy concerns in regard to conscription, emancipation, and black enlistment, but they largely rejected the motives and methods of the New York City uprising and viewed their loyalty to the Union and its preservation as an overriding factor in continued support for the war. The essay well reminds us of the great variety of local and regional differences within ethnic groups when it came to manifestations of loyal dissent. Northern blacks comprised a tiny minority of USCT troops, but they are the subject of Thaddeus Romansky's final chapter, which examines military protest in the 55th Massachusetts and 14th Rhode Island Colored Heavy Artillery. These Northern black volunteers used resistance techniques informed by both home front civilian experiences and slave traditions to combat what they viewed as unequal treatment within the army. Believing that loyalty demonstrated by military service entitled them to equal rights and privileges, some soldiers responded to inequities in pay, punishment, and officer selection with protests that the army construed as mutiny. In citing several interesting case studies, Romansky links the often violent protests in a positive way to a fight for equality during the war and beyond but perhaps too easily dismisses the army's view that discipline cannot be maintained when private soldiers, regardless of the justness of their grievances, are allowed to take matters in their own hands and assault, curse, and disobey their officers. As frustratingly shifting and amorphous as they proved to be, concepts of loyalty in the Civil War era North remain popular topics of study these days, and the essays comprising Contested Loyalty offer a fine survey of the range and current state of the scholarship. Hierarchies of loyalty, for which no societal consensus existed, resided in most individuals in the North, and these are identified and assessed by the volume's contributors in areas of personal and communal duty, partisan politics, gender, courtship, ethnicity, race, employment, and religious conscience. Together, these essays amply demonstrate how Civil War conflicts over loyalty and the limits of dissent permeated all elements of northern society, their wartime debates taking many forms with results ranging from productive to disappointingly repressive. 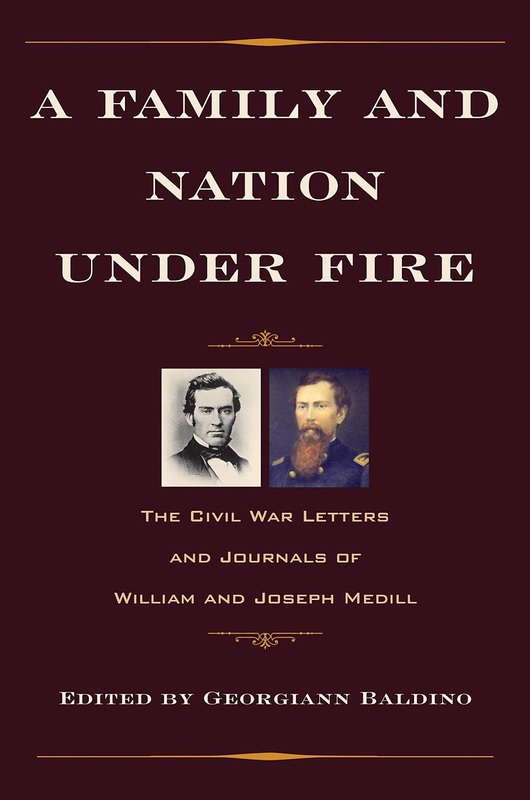 • A Family and Nation under Fire: The Civil War Letters and Journals of William and Joseph Medill edited by Georgiann Baldino (Kent St Univ Press, 2018). Edited by Georgiann Baldino, A Family and Nation under Fire is a "collection of previously unpublished diaries and correspondence between William Medill and older brother Joseph." Readers will probably be much more familiar with the higher profile of Joseph Medill, who was associated with the Chicago Tribune and is frequently mentioned in the Civil War literature. William Medill reached the rank of major in the 8th Illinois Cavalry and was mortally wounded during the Gettysburg Campaign. In their writings, "(t)he brothers correct newspaper coverage of the war, disagree with official military reports, and often condemn Lincoln administration policies." Other correspondence is included as well. From the description: "Joseph’s letters to President Lincoln reveal their exceptional relationship. A founding member of the Republican Party, Joseph was a powerful force for moral journalism. With his partner Dr. Charles Ray, Joseph extended the Tribune’s reach until it achieved national influence. By 1860, Ray and Joseph claim to have elected Abraham Lincoln president, and Lincoln publicly agrees that their paper did more for him than any paper in the Midwest. When regional divisions escalate, Joseph issues early calls for war and lobbies fervently for emancipation. He continues to support Lincoln and the war effort but uses the Tribune to advise Washington about the conduct of the war, the draft, monetary policy, and slavery. In private letters, Joseph lectures the president about emancipation, urging him to take an aggressive stance toward slave owners and warning about the Conscription Act." William's letters "rail against inept leaders, good men weakened by shortages, lives wasted, and destruction that defies understanding. His eyewitness accounts provide a fascinating perspective―part personal trauma and part social commentary." In addition to compiling the material for publication, Baldino contributes volume and chapter introductions, abundant bridging narrative throughout the book, and endnotes. I'm happy to find that naval historian Barbara Brooks Tomblin has another Civil War book on the horizon. Her Bluejackets and Contrabands: African Americans and the Union Navy (2009) offers, among other fine features, one of the most in-depth treatments of the mutually beneficial relationship forged between Union blockading vessels and escaped slaves that flocked to their incursions along the Confederacy's Atlantic seaboard. Likewise, my current recommendation for the best overview of Union naval operations on the Mississippi is her 2016 book The Civil War on the Mississippi: Union Sailors, Gunboat Captains, and the Campaign to Control the River. Scheduled for release early next spring, her next book switches attention over to the other side and sounds pretty impressive in scope. Published by Naval Institute Press, Life In Jefferson Davis's Navy (March, 2019) "addresses every aspect of a Confederate sailor's life: shipboard routine, the Sabbath, liberty, entertainment, diet, health, medical care, discipline, imprisonment, desertion, and combat experience." More from the description: "Drawing on diaries letters newspaper accounts and published works Tomblin offers a fresh look at the wartime experience of officers and men in the Confederate Navy who served on gunboats on western rivers ironclads and ships along the coast and at Mobile bay as well as on the high seas aboard the Confederate raiders Sumter Alabama Florida and Shenandoah. This narrative describes as well the work of Confederate Navy surgeons and surgeon's stewards who provided medical care for naval personnel who suffered from a variety of illnesses such malaria, dysentery, smallpox, and yellow fever as well as injuries caused by accidents or during combat. 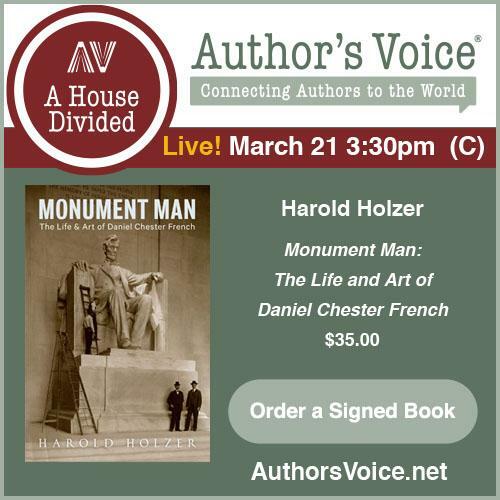 The author also explores the daily life deprivations and suffering of those who were captured and spent time in Union prisoner of war camps at Point Lookout, Elmira, Johnson's Island, and Fort Delaware. Confederate prisoners’ journals and letters give an intimate account of their struggle to survive the boredom poor rations and living conditions of imprisonment with little opportunity to escape or be granted prisoner exchange. Tomblin does not overlook the important contribution of the Torpedo Service and various experimental craft such as Squib and the Hunley all designed to destroy Union blockaders. Life in Jefferson Davis’ Navy concludes with the final months of the war afloat on the James River and with navy men manning gun batteries at Fort Fisher and Drewry's Bluff or fighting the Yankees as naval infantry with the "Aye Ayes" of the Semmes brigade." 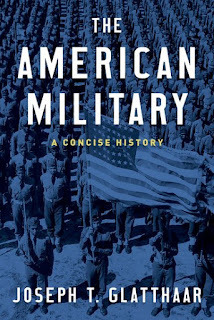 Even the most general history of the American military from Jamestown through today might easily fill several large volumes, but, remarkably, Joseph Glatthaar's The American Military: A Concise History manages to do so in only 125 pages of narrative. Much like fellow historian Allen Guelzo did recently for the same Oxford series with Reconstruction: A Concise History (2018), Glatthaar succeeds in applying the underappreciated talent of being able to produce a very brief but still meaningful synthesis and analysis of a seemingly boundless topic already supported by a vast literature. Glatthaar organizes the descriptive elements of his history of America's military and its wars chronologically around four major, and often overlapping, themes. The first thematic element descends from the longstanding English tradition of universal military obligation for national defense. With that in view, the American distrust of standing armies meant that state and local citizen-militias would form the backbone of the early American military through colonial conflicts, the American Revolution, the War of 1812, and beyond. The incremental, decades-long turn toward military professionalism would be the next stage in the evolution of American armed forces, and, like others have before him, Glatthaar appropriately sees the success of West Point-trained officers in the U.S.-Mexican War as the real beginning of a larger cultural shift toward wider acceptance of a professional officer corps. This trend would continue during the Civil War, the Spanish-American War, and World War I, but the author argues that it would take World War Two's national mobilization of men and resources along with its top to bottom modernization of the U.S. Army before military professionalism was firmly established. One might also add to this the beginning of public acceptance for large, permanent armed forces led by career professionals and maintained at vast expense. Advances in technology and mechanization among all branches of the service during two World Wars comprises the third major theme in the development of the American military. In unmatched fashion, the U.S. used its newly "centralized organization and power" during WW2 to leverage materiel, resource, and technological superiority into irresistible military might without destabilizing either the economy or conditions on the home front. As mentioned before, the country also needed and got the professionalized officer corps and staff structure required to wield the technology efficiently and effectively. The book's fourth and final theme explores the internal and external limits of American military power through the lens of the Cold War and various twentieth and twenty-first century hot war experiences in Korea, Vietnam, the Middle East, and Afghanistan. Throughout the chapter, Glatthaar notes a consistent inability of politicians, the military leadership, and general public to get on the same page when it came to realizing (or deciding) what the military could and could not do (or should and should not do). In terms of quibbles, any book of this type will by necessity include some overgeneralizations made for the sake of brevity. Additionally, the author doesn't directly critique major interpretive traditions like Russell Weigley's highly influential The American Way of War thesis and book, but elements of such things are encountered here and there. 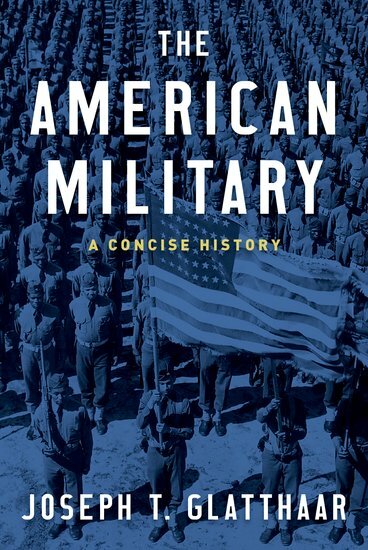 Overall, The American Military: A Concise History is a solid introduction to a very complex subject that should serve well the purposes of college survey courses and general reading audiences alike.